This hairstyle ended up on my head out of pure accident. 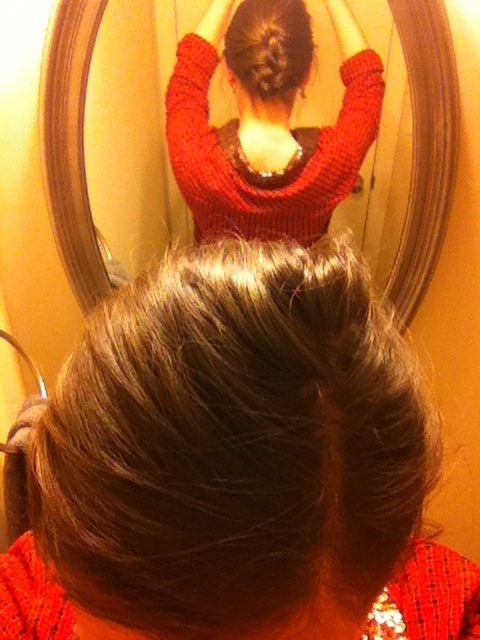 I was wearing a super fun shirt from Target that was perfectly festive for Christmas, but it’s sequined collar was catching the ends of my French braid and making some nasty tangles. So instead of re-doing my hair, I just tucked the end of the braid and pinned it in place. It was surprisingly elegant and easy to do. 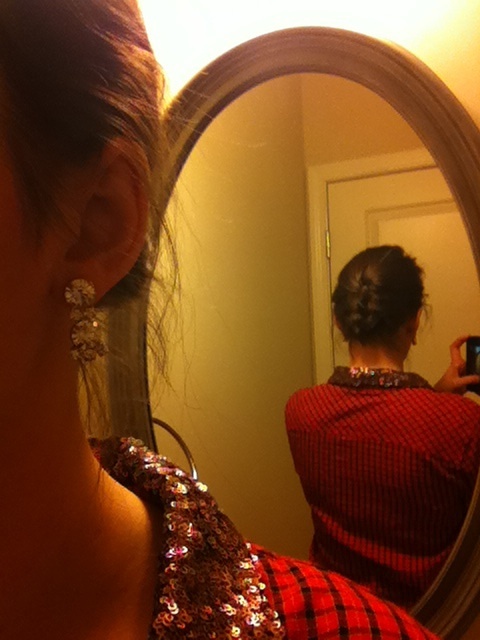 French braid your hair (loosely; you want to have some flexibility) all the way down. Fasten with a hair tie. Using your index finger, twist the tail of the braid all the way up to the nape of your neck, like you’re going to put it in a bun. Twist it into a loose bun at the base of your neck, and then start tucking and rolling it under, like you’re doing a French Twist. Keep pinching in the sides and tucking them under until the tail of your braid is hidden underneath the braid itself. Secure with bobby pins and spray with hairspray. Voila! What’s your go-to holiday hairstyle?